An Interview with Lee Mccoy AKA Get Visible Affiliate / Affiliate Marketing Blogger and Affiliates4u 2009 Awards Finalist. Lee is well known on the A4uforum for his great blog www.leemccoy.co.uk , his SEO talents as an affiliate and his no nonsense views. Tell us more about Lee, the affiliate side and the blogging side? Well I’ve got a strange background, as I suppose many affiliates have. I’ve got a degree in Economics but couldn’t get a job with that after graduated so basically blagged my way around life building ecommerce websites (I didn’t know how to do them when I advertised in a local paper – but soon taught myself using Actinic). I realised the other day that in the last 12 years of working in SEO I’ve only actually been employed by someone else for less than 2 years. I think that’s some sort of achievement? It seems easier to work for yourself rather than others and that’s what got me started in Blogging, I hated creating and managing websites, it seem too much hard work and that’s why I basically focus 95% of my affiliate efforts on blogging. What does it mean to be nominated for the A4U award? It actually means a lot. I often have people saying on messenger or at get2gethers that they love my blog for its open and honest style and this is from people that I value the opinions of very highly so that makes it feel worth the effort. It would be nice to win as it means that people that I don’t actually know also value the blog – and it’ll make mother happy too. We’ll see what happens. Well I’m not one for campaigning. If people value the information that I give and how I describe my successes and failures then it would be nice to be voted for. There are also some other excellent blogs nominated and they also add a tremendous amount to the industry so it may be a very difficult decision for many to make. I actually first started back in 2000 when I actually worked for www.topjobs.co.uk and had to monetise a competetion we were running. Then two years later, when I got made redundant I set up Get Visible and my mother mentioned that I could set up a load of sites based on the “Get” theme. So I started Get Financial which was a credit card and loans site as well as Get Booking which was a fairly successful site with loads of spammy pages focusing on the “Cheap flights to” keywords. I then started www.get-shopping.com which was even more spammy and realised how easy it was to make really good money adding no value what-so-ever to the internet. When that got kicked out of the search engines I decided to turn over a new leaf and started thinking how I could create sites that actually helped and informed people – that was the genesis of what my blogs aim to achieve. I suppose it was budgets. At the time I was about £15k in debt. I was good at SEO but I wasn’t so good with being able monetise those skills. I needed to earn and SEO seemed to be too much of a long term solution so I started PPCing the likes of the RAC who were on DGM at the time. I wasted a fair bit of money I didn’t have on that and then decided that looking at building sites wasn’t so bad an option. I suppose that’s a difficult to answer question but a really good one. I’m a lot more selective with who I promote now and merchants are so much more well informed and in-tune with affiliates that they really don’t make as many “mistakes” any more. I suppose the one would be to produce voucher codes and then not manage how they’re used online or gauge the ROI on them. Thinking about it, one thing that really does annoy me is how late some merchants leave it to communicate with affiliates about time sensitive promotions. I work a lot in this area and often get emails promoting Easter, for example, the day before Good Friday so I would have no time to promote organise content and it would be too late for people actually to purchase items and have them for Easter delivery. Jump on bandwagons without giving enough thought to what they do. So called “gurus” will say something is great, it works for them and then you get many affiliates steaming in without much thought. I’m sounding negative here, but I wish more affiliates would learn to think for themselves and be able to separate the wood for the trees, there should be no idols in this industry, every affiliate’s opinion is worth just as much as mine. Affiliate id 24649 on Awin is just as important as 24648 (me). Well, the one thing I love about this industry is that its ever changing. There’s always a new fad coming up, we’ve seen so many. Technology will play its part of course, but I see more and more affiliates retrenching into niches, be that product niches or process niches (blogging, email, ppc, voucher codes, cash back), whilst the big boys (the real super affiliates) will extend their tentacles into more pies – and good luck to them, many do an absolutely fantastic job! I see many advertisers using blogging in an even more refined manner, a few are using Twitter in really good ways. But I feel that many advertisers should still look at getting the fundamentals right in terms of focusing on the usability of their websites and natural search. Many take that for granted and just jump onto the exciting or novel advertising mediums. I help consumers buy more suitable products; I help my clients achieve greater sales volumes & spend less on marketing and I help affiliates make their own minds up about how they should try and make more money online. I have a seperate box in the office for recyling paper and I walk to the chip shop instead of driving. I was Christened by Rev Christopher Hopkins who was very good friends with Princess Diana and Bishop Desmond Tu Tu – no really! I’ve got loads of great stuff. When I’m working I normally have last.fm going as it just comes up with some great music I’ve never heard of. But on my iPod I normally listen to Angus & Julia Stone, The Cult and various Seth Godin Books. I’ve just finished reading Bill Tancer’s (Hitwise) book – Click. And have started reading “What Would Google Do” – Jeff Jarvis which is an awesome book. After that I’ll read “Tribes” by Seth Godin (got it on the iPod as well I think). My brother www.mccoy.co.uk is an absolutely fantastic web designer who won’t give anything other than his best! 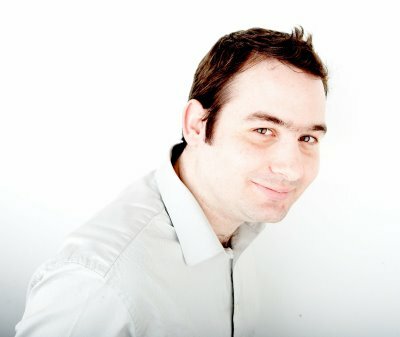 I think Stevo from www.hallnet.co.uk is a brilliant php web developer – a true legend when it comes to technical stuff. Tom Quinn (http://twitter.com/tommyq1976) is an absolute gentleman! J Lil is a legend and if I swung that way I would. Who would you NOT recommend and why? I’m quite open and honest with my views and I really don’t like people that are arrogant and are more concerned about whether people idolise them than the quality of what they produce and I don’t like people that play on reputation rather than substance. I’m generally not a negative person, there’s a whole lotta love in me, but I just don’t like how Noob affiliates are often naively swayed by “big” names. Great interview. Lee looks like a great guy to know!